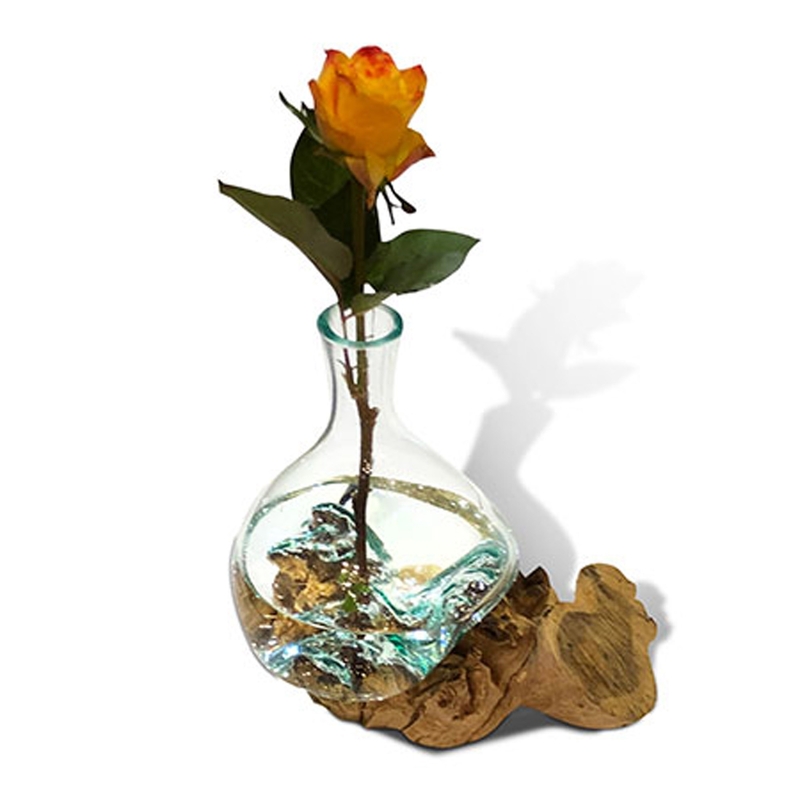 Complete that contemporary look in your household by introducing the wonderful Glass Bottle With Teak Root Base Ornament. This modern ornament has a stunning design that'll be certain to impress. The contrast of the wooden base with the glass bottle looks very modern and eye-catching.